School bus service is not available for Pre-K students. 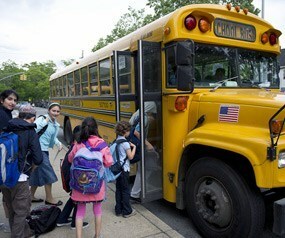 Students are entitled to free transportation on the school buses provided they live within a five mile radius from the school. Seventh and Eighth graders may obtain a free or half fare metro card for use on NYC public buses from the school office.